There are not many boutique bass builders whose basses I crave, and one of the few is Roger Sadowsky. 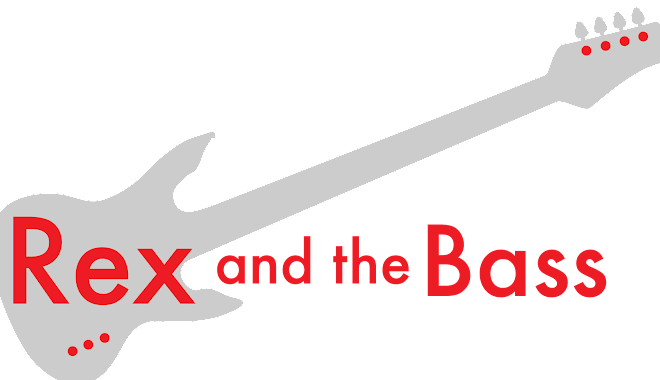 His staff builds incredible basses (and guitars too) out of his New York City shop, and they are the most playable and best-sounding bolt neck instruments you can buy. Unfortunately, the popularity of these custom instruments results in a minimum entry of $4500, and a lengthy waiting to get one made to your specifications. Fortunately for all of us, there is a more cost effective solution to getting out hands on a new Sadowsky. This would be the Sadowsky Metroline series of basses. 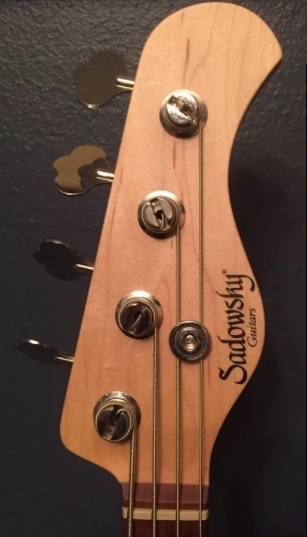 Back in the early 2000s, Mr. Sadowsky decided to have a line of basses built overseas. Not by shoeless starving children in Indonesia, but by the best luthiers in Japan. These were originally called the Tokyo line of basses, but were later renamed the Metro series, and now the Metroline series. The idea was to use the same electronics and hardware, but with less pretty (and light) woods and with lower labor costs. The bass we are looking at today is a Sadowsky Metro MV4 that was built in 2013. 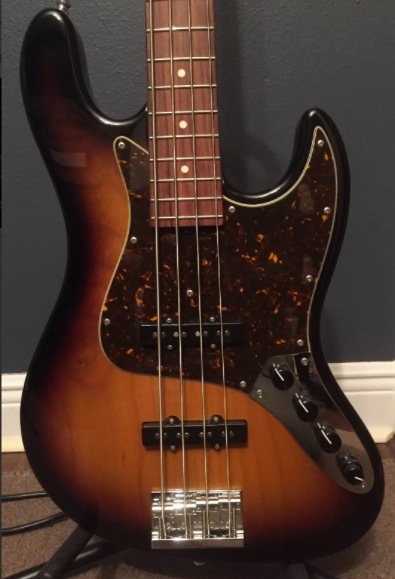 This is essentially a Fender Jazz bass copy with the familiar offset waist body and pickguard shape. It is drop-dead gorgeous with the ’59 Burst finish over the alder body. 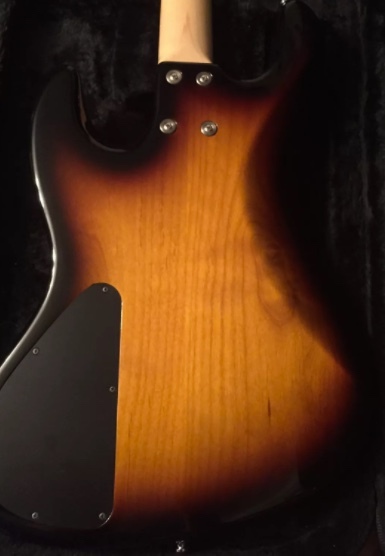 This is a solid body, not chambered like a NYC bass. The sparkly clean neck is topped with a rosewood (or is that morado?) fretboard that has 21 gorgeous frets sunk into it. 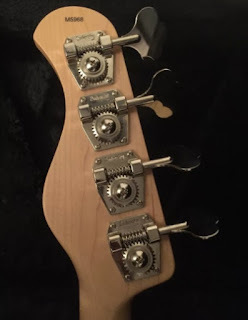 The hardware is the same as on a NYC bass, with open-gear tuners and a high-mass bridge. 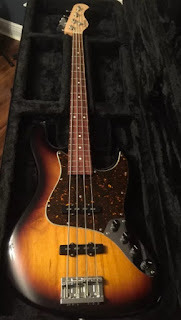 Sadowsky says that these use the same electronics as the New York City basses, so it has Sadowsky humcancelling pickups, and the much-copied Sadowsky pre-amplifier with Vintage Tone Control. The knobs are: master volume, pickup blend, treble roll-off (Vintage Tone Control) with pre-amp bypass push/pull, and stacked bass boost/treble boost. I have had the opportunity to compare these basses to real NYC basses, and they do not sound quite the same, but are still very good. Maybe it is the wood they use for the bodies that makes them sound differently. One noticeable thing you do not get with the Metro series is the predictably light weight of a New York City Sadowsky. Generally the Metros will weigh a pound or two more. This one weighs in at more than 9 pounds, instead of the usually 8 pounds for a NYC Jazz Bass. This is still pretty light, and if you are going to save $1800, you are going to have to give something up. This Metro is a fantastic bass. It sounds great, and plays like a dream. The construction is very good, and the neck and fretwork are perfect. In my opinion, it is better quality than anything Fender or their Custom Shop is producing today. Metro basses come in a Sadowsky semi-hard case and a new Metroline RV4 sells for $2590 new; Sadowsky does not allow their dealers to discount these at all. Nice used ones seem to run a tad over $2000 at this point in time. So, if you do not need a fancy top, a custom color, a left-handed or a fretless bass (none of these options are available) this is a viable alternative to a NYC Sadowsky. They are definitely worth the money.